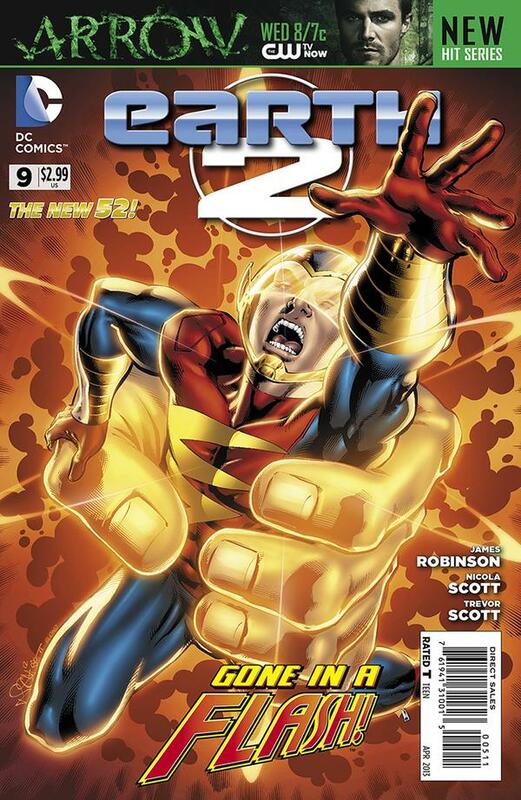 Earth-2 issue #9 pulls off an impressive feat – introducing a major character without making it feel like a stunt, all the while pushing forward an excellent storyline. 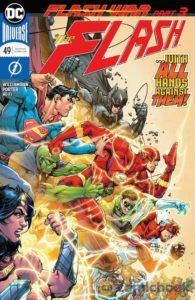 Jay Garrick fans get to see a lot more of his character in this issue, and we find out more about the depths to which the World Army will stoop in an attempt to capture these new “Wonders”. SOME MINOR SPOILERS AHEAD – PLEASE READ THE ISSUE BEFORE CONTINUING! This entry was posted in Reviews and tagged Atom, doctor fate, Dodds, Earth 2, Fate, Flash, Hawkgirl, James Robinson, Jay Garrick, JSA on February 6, 2013 by Ed Garrett.